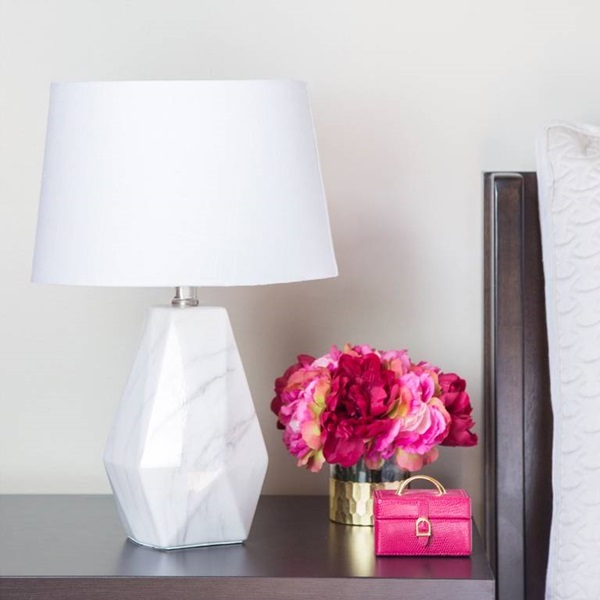 Sleek and smooth! 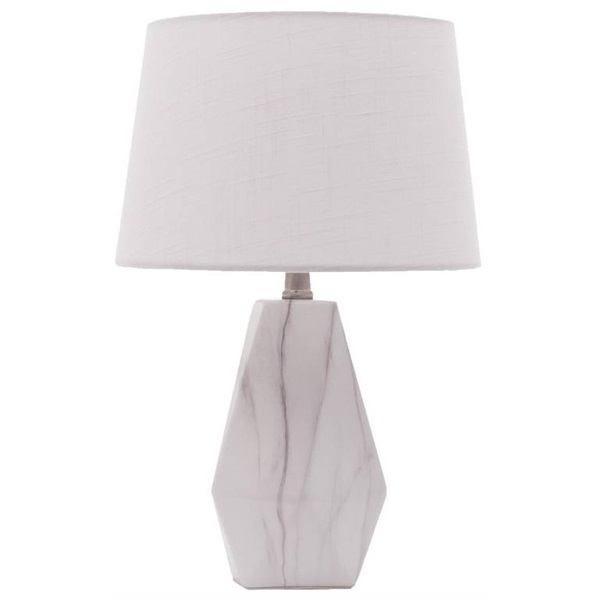 This 18" table lamp exudes luxury with it's sleek marble-finish base and white linen shade. 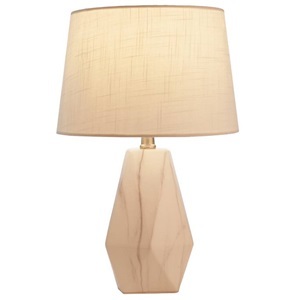 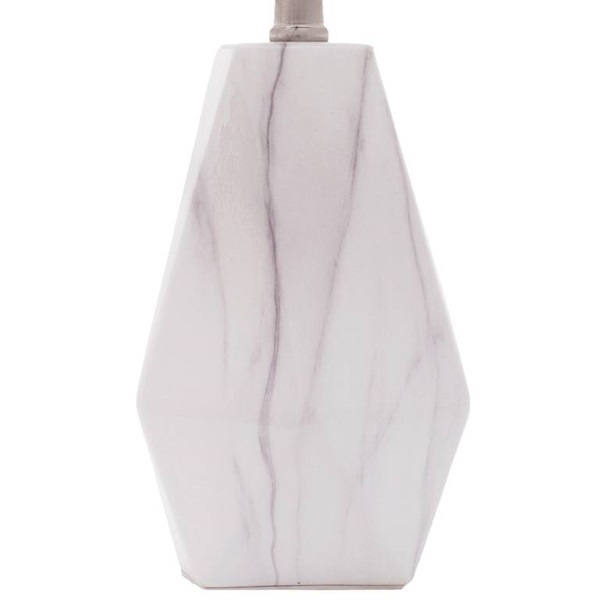 With the angular lines of the base and soft shade, this lamp is perfect for today's modern home!